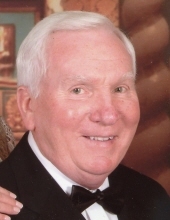 William J. Kelley, Jr., age 79, passed away peacefully at his home surrounded by the comfort of his loving family on August 25, 2018. He was the son of the late William and Mary (Twomey) Kelley. Bill was born on September 1, 1938 in Brighton and was a graduate of Brighton High School. He was employed as a supervisor and graphic arts designer for the City of Boston Printing Plant. He married his wife Patricia (Wilkinson) on June 9, 1963. Bill was an avid fisherman and enjoyed skiing. He most enjoyed spending time with his family. He was a devoted husband, father and grandfather. Beloved husband of Patricia (Wilkinson) Kelley. Devoted father of Steven and his wife Rachel Kelley of Acton and Briand and his wife Béryl Kelley of New York City. Loving grandfather of Alexander and Abigail. Beloved brother of Michaeline Kelley-Boyet of New Mexico, Mary Theresa and her husband Richard Joyce of Falmouth, Joseph Kelley of San Francisco and the late David Kelley and Patricia Kelley. Bill also leaves his beloved dogs, Knox and Bruski. Relatives and friends are kindly invited to attend calling hours on Tuesday, August 28, 2018 from 4 to 7 PM at the Roberts and Sons Funeral Home, 30 South Street in Foxborough. A Funeral Mass will be celebrated on Wednesday at 10 AM at St. Mary’s Church, 58 Carpenter Street in Foxborough. Interment to follow at St. Mary’s Cemetery in Foxborough. To send an on line condolence please visit the funeral home web site at www.robertsandsonsfuneralhome.com. For additional information please contact 508 543-5471. If you wish, donations in Bill’s memory may be made to Seasons Hospice and Palliative Care, one Edgewater Dr. suite 103, Norwood , MA 02062. "Email Address" would like to share the life celebration of William J. Kelley. Click on the "link" to go to share a favorite memory or leave a condolence message for the family.